Well, that’s 90 minutes of my life I’ll never get back! If this how you feel after coming out of a business meeting, there’s a good chance you weren’t the only one. Even though business meetings are always planned with the best and most productive of intentions, too often they end up wasting precious time and money due to poor organization, irrelevant discussions, unnecessary attendees, or any combination of the three. Today, we’d like to share some ways that our mobile conferencing app, along with some meeting management tips, can be used to make virtual meetings shorter, easier, and more productive. Try to schedule a meeting agenda for 30 minutes: Meeting fatigue. It’s a real thing. By trimming meeting times down to just 30-minutes (if possible), meetings can not only save valuable time, but also better retain the energy and attention of those in attendance. Create a focused plan and purpose for your meeting: Provide your invitees with a conference agenda days in advance and try to adhere to the time limits allotted for each agenda item. 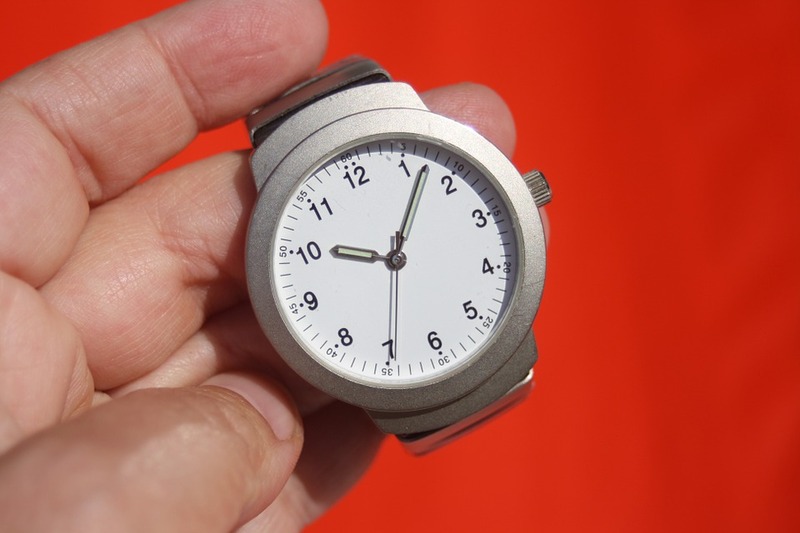 This will help you manage your time and keep your meeting on track. Invite attendees as necessary: Not every team meeting needs to include everybody on the team. Value everyone’s time (and the company’s) by only inviting those in roles or positions relevant to the topics to be discussed. After your meeting, you can always send meeting minutes to others to keep them updated on any decisions made or topics discussed. Try using the conference recording feature available with all FreeConference.com’s paid plans starting at $9.99. You can record your conference and send out to those who were not in attendance after. Check out the recording feature page for more information. Stay on topic and follow agenda schedule: It’s very easy for even the most businesslike of conference calls to swiftly morph into a conversation about what everyone did over the weekend, upcoming holiday plans, or any number of fun-but-not-work-related topics. Follow the meeting agenda and save any tangential conversations for a separate email thread or even the text chat feature of the online meeting room. Collect post-meeting feedback from attendees: At the end of your meeting or immediately after, send out a quick email or feedback form to collect their input, thoughts, and ideas about what was discussed. This feedback could provide valuable insight going forward in addition to helping shape the planning and agenda of future meetings. Send out a post-meeting summary and include the conference call recording if you can. With the ability to talk, video, share screens, and even upload documents online, participants can hold virtual meetings from anywhere they can get phone service or an internet connection. Online meetings can be started or joined using the Google Chrome browser or the FreeConference mobile conference call app. No need to be at a desk in front of a computer —mobile web conferencing enables attendees to join a meeting online wherever they are from a smartphone or tablet. —Now with video and screen-share-viewing capabilities! 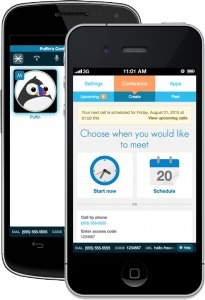 Access your online meeting room on the go using the FreeConference mobile app. 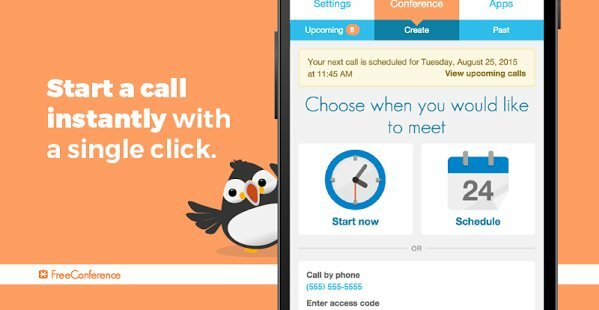 The latest version of the FreeConference conference call mobile app for Android combines all of the functionality of our web app with the convenience of one-touch mobile accessibility.